This episode features storytellers,Varun Vazir and Poonam Budania. Varun decided to follow his big dreams of becoming a Bollywood superstar, now his life is a long wait - when will this wait end for him? Poonam had a kidney disease, she tried everything she possibly could to heal but nothing seemed to be working till one fine day she healed. Does love really have the power to heal someone? This episode features storytellers, Ishan Sahni and Pankaj Bhatt. Ishan met a beautiful stranger one day. Both of them were aware of the deep connection between them but she was a traveler. She wasn't there to stay. Pankaj Bhatt always considered his sister one of his closest confidantes, even when they fought like wild animals. Somewhere along the way, they grew up, and on the day of her wedding, he breaks down. Listen to his story to know what happened when Pankaj's sister got married! This episode features storytellers, Tiffany Brar and Zainab Sayeed. Ever since she was little, Tiffany Barr has been discriminated against for her blindness. Though her parents explained to her that it was just the way things worked, she refused to settle. After surviving multiple hardships, she grew up to be a stellar academician and started a mobile school for blind people. This is her story. Zainab and her brother realized they were on the wrong train only when the train started moving. Confused and terrified, they decided to pull the chain and get off the train. This incident taught Zainab something about love and relationships, a lesson she'll never forget. This episode features storytellers, Rabab Ghadiali and Saima Naaz. It is considered Muslim men don't allow their wives, daughters or sisters to work. However, Rabab tells us her story to say that it is not the men of her community, but rather the attitude of the masses, that puts an impediment upon her freedom. Listen to her story to know what happened at her workplace! Saima was head over heels in love with her man, when one fine day she realized she would be punished for falling in love with someone who isn't from the same religion has hers. Does love see such boundaries? Will the world ever change? 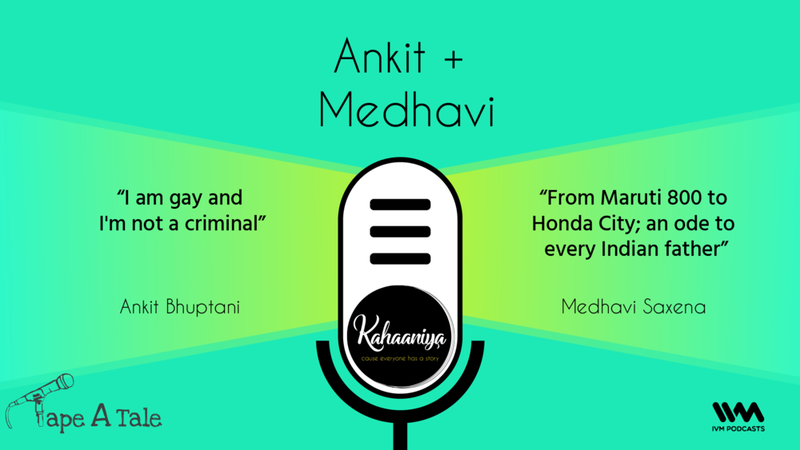 This episode features storytellers, Ankit Bhuptani and Medhavi Saxena. "I can never forget that cruel voice and those lusty eyes," Ankit Bhuptani wanted to tell the world he is gay and that it is not a crime until that one night. Remember all the countless memories you made in that Maruti 800? Medhavi's story is an ode to all the fathers, our superheroes. This episode features storytellers, Stuti Aghamkar and Shivani Khanna. After years of social awkwardness and pressure because of her stammer, Stuti decided to believe in herself and her potential. That is when she witnessed a miracle. Shivani tells us a little something about fathers; how her father was when she got married 25 years ago and how her husband is now, when they have a daughter who is getting married. This episode features storytellers, Pragya Preetam and Aashray Akundi. Pragya's story is an important one. It teachers us how crucial it is to let go of people and things that aren't meant to be, and how there's nothing wrong about starting over, and eventually accepting and moving on for your peace of mind. She fell in love with a man who wasn't meant to be. Aashray learnt the biggest lesson about humanity when he got stuck in a communal riot. His story is sure to give you shivers down your spine. 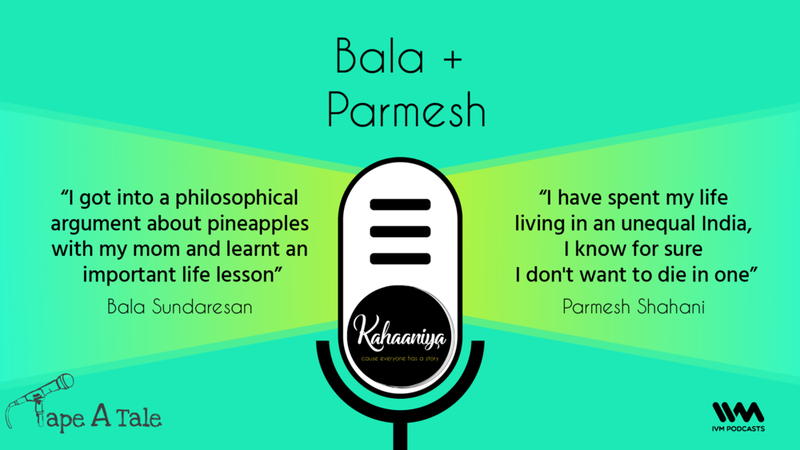 This episode features storytellers, Bala Sundaresan and Parmesh Shahani. One Saturday, Bala decided to go vegetable shopping with his mom; little did he know, he'll get into a philosophical argument about pineapples with his mom and also learn the most important life lesson (which all of us need to learn too). Parmesh Shahani is one of India's most multifaceted gay public figures. He heads the Godrej India cultural lab. In this story, he talks about his journey of coming out to bigger and bigger audiences over the years and how he wants to leave behind an equal India. This episode features storytellers, Melaine Morgan and an anonymous storyteller. "I remember my heart just dropping as I made my way over to McDonalds." Melaine met her dad for the first time when she was 24-years-old and found out why he wasn't around all this while. 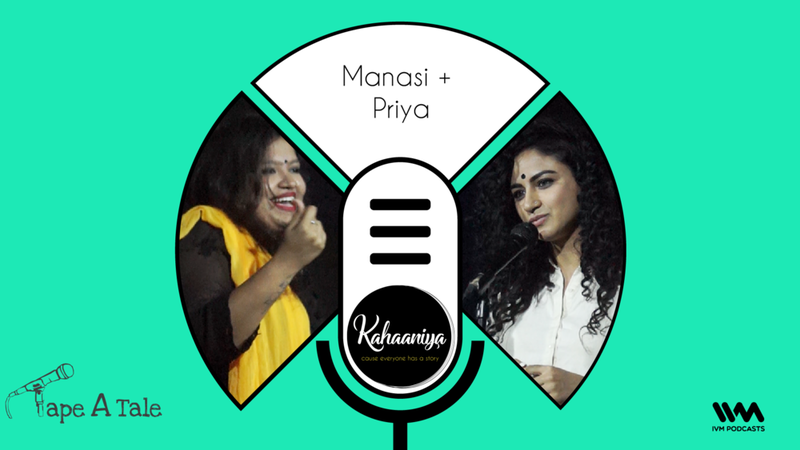 This episode features storytellers, Manasi Tiwari and Priya Malik. Manasi's father was her superhero, her best friend and her guardian. Everything was going perfectly well till that one day...all of a sudden, without any warning, it all changed. Priya Malik wasn't the most social person and when she moved to Bombay to follow her dreams, she was rather alone in the big city, maybe because she chose to be. In the everyday hustle of city life, we often forget the ones around us, we find less time to get to know people and even lesser time to get to know ourselves. However amidst all the madness, there was someone who wanted to make sure that Priya was doing okay. After all, everyone has an Uparwala. Who is yours? 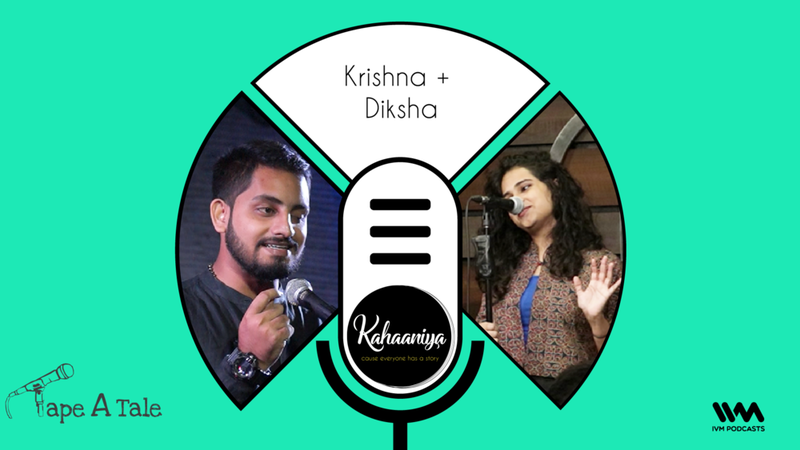 This episode features storytellers, Krishna Iyer and Diksha Dwivedi. Krishna Iyer was just declared the headboy of his school but life had different plans for him. There are moments in life when everything around you tells you that nothing will work out but those are the moments when you have to believe in yourself the most. Will Krishna have the courage to take that leap? Will he listen to father? Will he be able to get over the what ifs? It's all about having faith for just that one moment. Would you spend the last 12 hours with someone differently if you knew those were the last 12 hours? Diksha's dad sacrificed his life for the country serving the Indian Army, listen to her story to understand the meaning of courage. 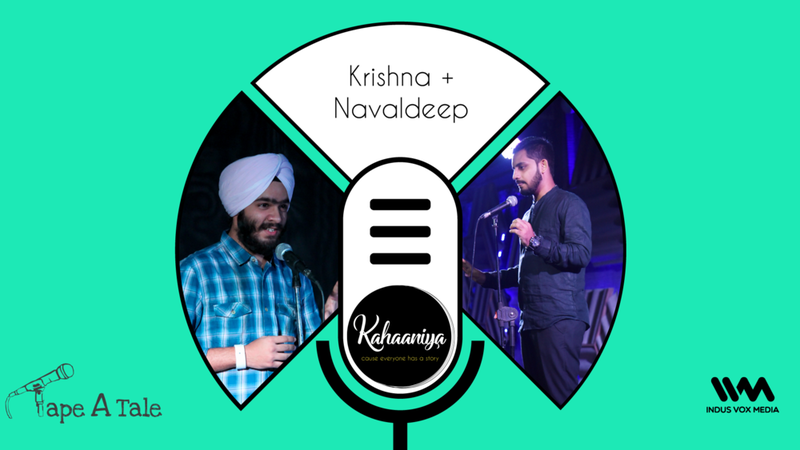 This episode features storytellers, Krushnaa Patil and Navaldeep Singh. 18-year-old Krushnaa was all pumped to be the best man at her friend's wedding in Arunachal. However, what happened at the wedding became the most scandalous experience of her life. All of us have been friendzoned at some point, but very few of us can describe the feeling as accurately as Navaldeep. Listen to this humorous and relatable story about his very first love. This episode features storytellers, Krishna Iyer and Vikram Poddar. Krishna was on his way home when a friend asked him to be his wingman. Little did he know, he'd have the most beautiful time of his life that night. Vikram had a difficult relationship with his father. Things had started going downhill for them long before his death. In this story, he recounts countless bittersweet memories with a man who was once his hero. This episode features storytellers, Bala Sundaresan and Yahya Bootwala. Bala is a 26-year-old virgin and his story explains 'why'. This particular story will leave you rolling on the floor laughing. It's hilarious, relatable and brilliantly told. Give a listen and you won't be able to stop yourself from sharing it with your friends. Yahya Bootwala almost drowned once. Just when he thought he could swim, he started drowning. This memory stayed with him for a long, long time and he hoped he would never feel the same way again.. but he did. Listen to this beautiful story to find out when and how. This episode features storytellers, Jimmy and Rithwik Singh. Have you ever lost someone really close to you? Do you remember all the details of that day? How your house felt, how your eyes wept or how you had so many questions about life and death? Jimmy was very young when he lost someone really close to him. He describes that day in this story. It will leave you speechless. Rithwik is 21, single and has never been kissed. When he finally finds a match on Tinder, he just cannot contain his excitement. He is really looking forward to his first date but will it turn out as planned or will there be an unpredictable twist? Listen to find out more! This episode features storytellers, Amandeep Singh and Afreen Khan. It was love at first sight for Amandeep, but he consciously did not fall in love till he knew the girl wanted to be with him, too. His love story is old school; it has letters, midnight calls, a proposal, trust, respect and friendship. His words will make you want to fall in love all over again. When Afreen told her story live, there was pin drop silence in the hall. As soon as she finished telling the story, everyone stood up and applauded because this story deserves that respect. It takes unimaginable amount of courage to tell such a story. Afreen Khan talks about that one dreadful night that changed her life forever and it WILL change something in you, too. 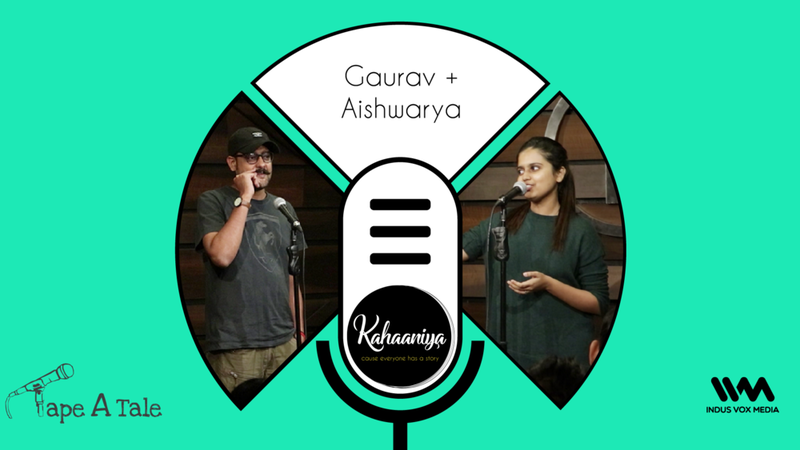 This episode features storytellers, Gaurav Tripathi and Aishwarya Mohanraj. Gaurav's father had a dream; he wanted both his sons to join the Indian army. The elder one couldn't make it but he made sure to keep Gaurav motivated and inspired. This is Gaurav's HILARIOUS narration of his story. Aishwarya woke up one day to find out that her 26 year old brother has drowned. This loss taught her something about life and death, a lesson we all must embrace. This episode features storytellers, Aishwarya Mohanraj and Mohammed Sadriwala. Aishwarya's grandmother wore a bra over her nightie and added salt to dessert just because she could. This story is Aishwarya's ode to her fun, loving and caring grandmother who was also a total badass. Mohammed's 'badi ammi' was shopping on the streets of Iraq when she met a 12 year old boy, an encounter that will move a million hearts. Krishna was 'Har galli ka Tendulkar' until that one day. His story explored the real meaning of loss, passion and what it means to truly value something before it's gone. Navaldeep Singh was the storyteller of the night at the first ever open mic night in Mumbai. This is the hilarious account of his first ever backpacking experience.